The NHS staffing crisis is so critical it cannot be fixed by training more doctors and nurses alone, according to a major report. With falling numbers of GPs, the health service must consider recruiting 9,000 more physiotherapists and pharmacists to help in general practice, it said. They could look after those with ailments such as back pain and take care of repeat prescriptions, freeing up GPs to treat those most in need. 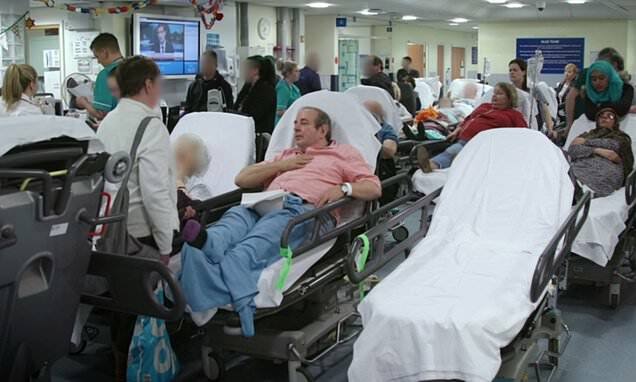 The report by the King’s Fund, Nuffield Trust and Health Foundation think-tanks warned patients are facing longer delays for treatment as the NHS struggles to recruit and retain sufficient staff. Shortages of GPs in England will almost triple to 7,000 and double in nursing to 70,000 within five years unless action is taken, it said. While nurse recruitment is failing to keep pace with rising demand, GP numbers are falling. Despite the Government vowing to create 5,000 additional GP posts by 2020, recent figures suggest a further shortfall of 1,300 full-time family doctors has developed. Many are choosing go abroad for better lifestyles, while high numbers are a retiring early to avoid hefty taxes that kick in when their pension pot exceeds £1million. The report noted 62 per cent of GPs now take early retirement, up from 33 per cent in 2011/12. Consequently, the service must look to other professionals to carry out some of the work, it suggests.